Owing to our years of experience in the respective domain, we are engaged in offering quality range of Pigeon Feed. Our entire range of textured pigeon feed, breeding pigeon feed and pigeon life cycle feed is hygienically prepared at our premises. Our feed is healthy and free from any adulterant. 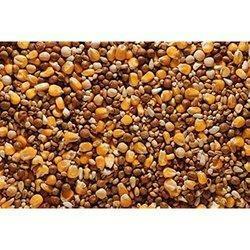 In addition, moisture proof packaging material to maintain the shelf life of the feed. 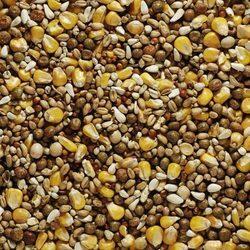 We are a trusted business entity involved in manufacturing, supplying and exporting Birds Feed. Our entire range is hygienically processed using cereal, grains, pulses, soy meal, essential amino acids, vitamins, minerals with micotoxin, aflatoxin and mold binders. Marketed under the brand name Anupam, our range is appreciated for its ensuring uniform growth and improved immunity. 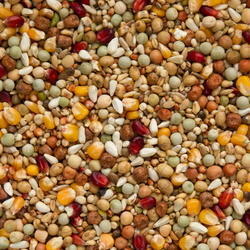 Avail from us a wide range of Textured Birds Feed Calculated Analysis. Our feed is rich in crude protein, fat and other vital nutrients, which increases the energy level. Processed using grains, pluses, essential amino acids, vitamins, minerals, trace minerals, toxin binders and mold inhibitor, our range is best for birds. Our 100% vegetarian feed is offered in bulk quantity at industry leading rates. 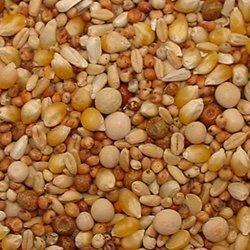 With the support and assistance of our professionals, we are engaged in manufacturing, supplying and exporting Breeding Bird Feed. Processed using ingredients like grains, pluses, essential amino acids, vitamins, minerals, trace minerals, toxin binders and mold inhibitor, our range is pure vegetarian. We market our products under the brand name Anupam across various parts of the globe. Our range is a highly balanced feed with essential amino-acids, calcium, phosphorous.